This study examined how root growth and morphology were affected by variation in soil moisture at four Amazon rainforest sites with contrasting vegetation and soil types. Mean annual site root mass, length and surface area growth ranged between 3–7 t ha−1, 2–4 km m−2 and 8–12 m2 m−2 respectively. Mean site specific root length and surface area varied between 8–10 km kg−1 and 24–34 m2 kg−1. Growth of root mass, length and surface area was lower when soil water was depleted (P < 0.001) while specific root length and surface area showed the opposite pattern (P < 0.001). 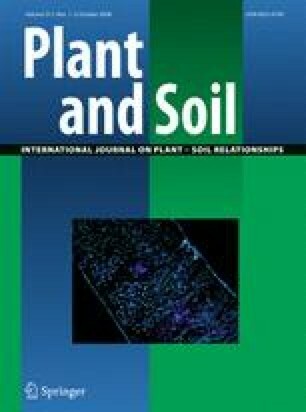 These results indicate that changes in root length and surface area per unit mass, and pulses in root growth to exploit transient periods of high soil water availability may be important means for trees in this ecosystem to increase nutrient and water uptake under seasonal and longer-term drought conditions. This research contributes to the Brazil-led Large Scale Biosphere—Atmosphere Experiment in Amazonia. Work was supported by a Natural Environment Research Council (UK) PhD studentship and a Standard Research Grant (NER/A/S/2003/1609), a Royal Society (UK) Dudley Stamp Memorial Fund award, and an Elizabeth Sinclair Fund award (School of Geosciences, University of Edinburgh, UK). The authors would like to thank Leonardo Sá and Ima Vieira for their scientific support and collaboration, the Museu Paraense Emilio Goeldi for the use of its field station and laboratory facilities, and Bene and Joca for committed field work assistance.